Fleming 55 Luxury Motoryacht For Sale - Burr Yacht Sales, Inc.
With elegant exterior lines that give it a timeless appeal paired with exceptional functionality, the Fleming 55 quickly established itself as one of the finest cruising yachts in its class when it was launched in 1986. 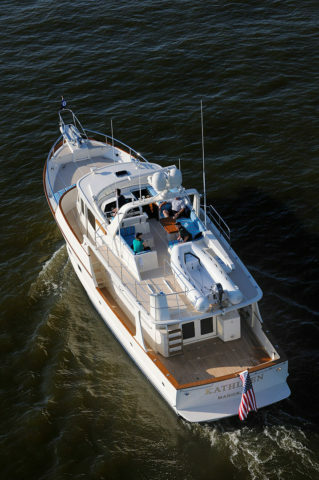 The features on the Fleming 55, the first model introduced by Tony Fleming, have become staples in the Fleming lineup; a dedicated pilothouse, low profile design, fine forward entry, and semi-displacement hull and twin engine power which allow for efficient cruising at displacement speeds or the ability to plane and run in the high teens when needed. 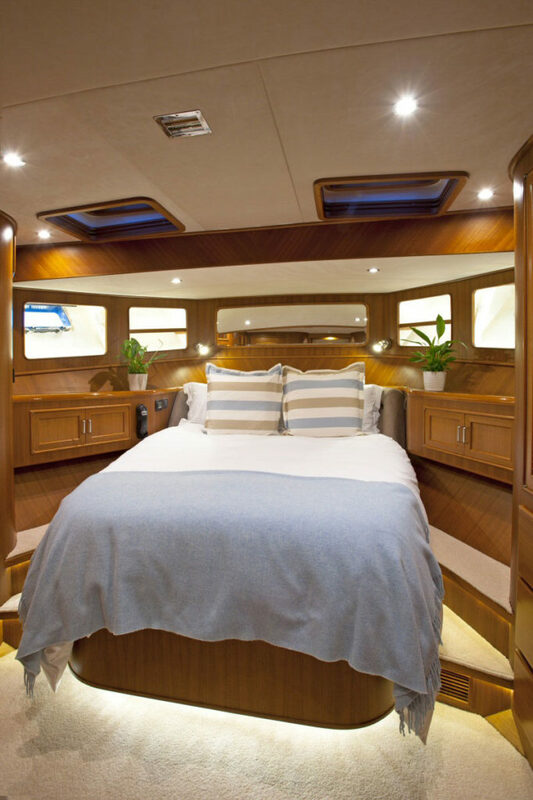 It is the low profile of the Fleming 55 which gives it such an attractive overall appearance as well as a low center gravity which provides unparalleled stability in even the roughest seas. 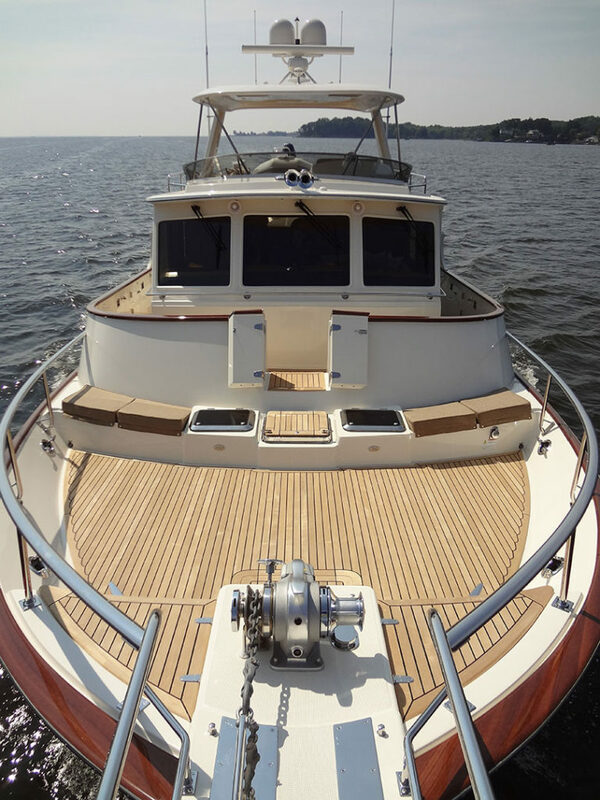 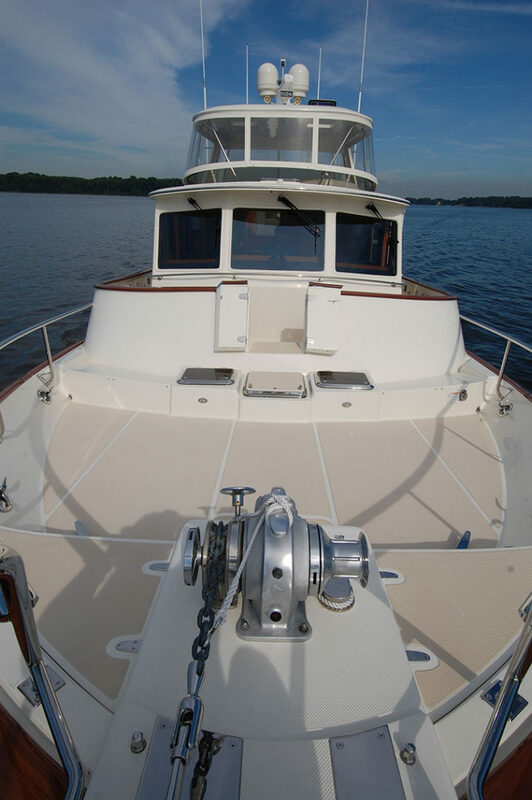 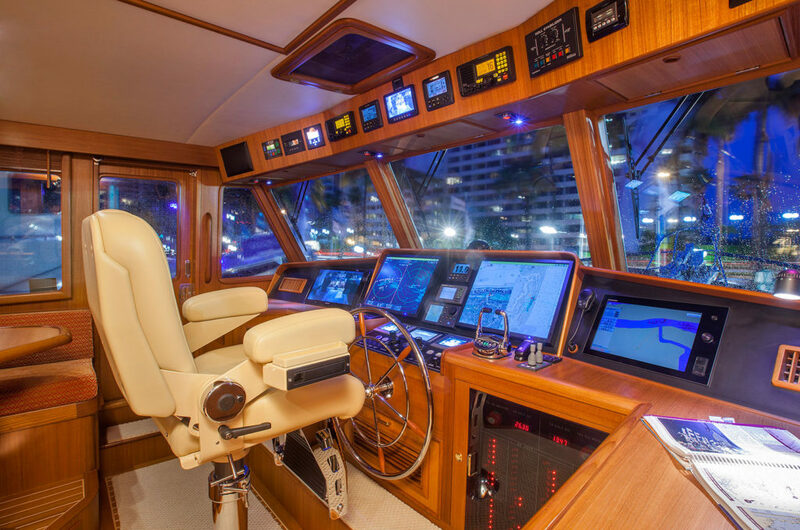 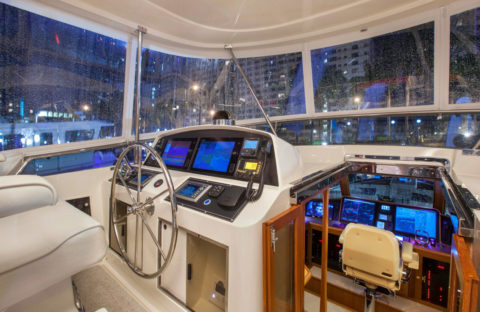 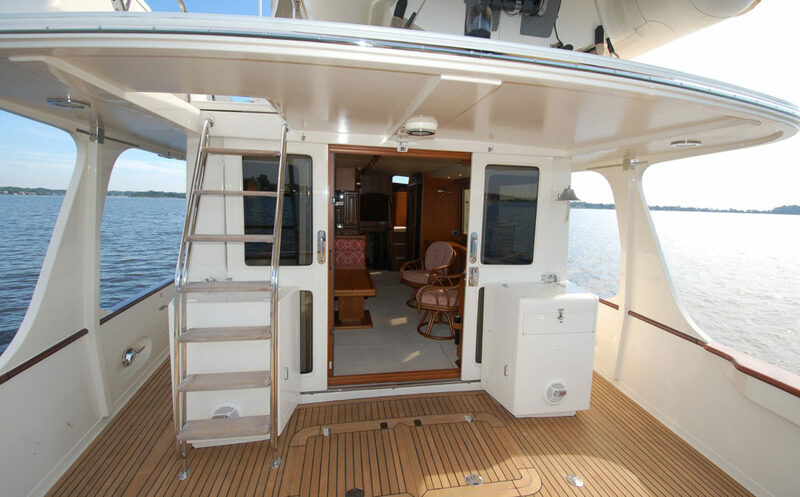 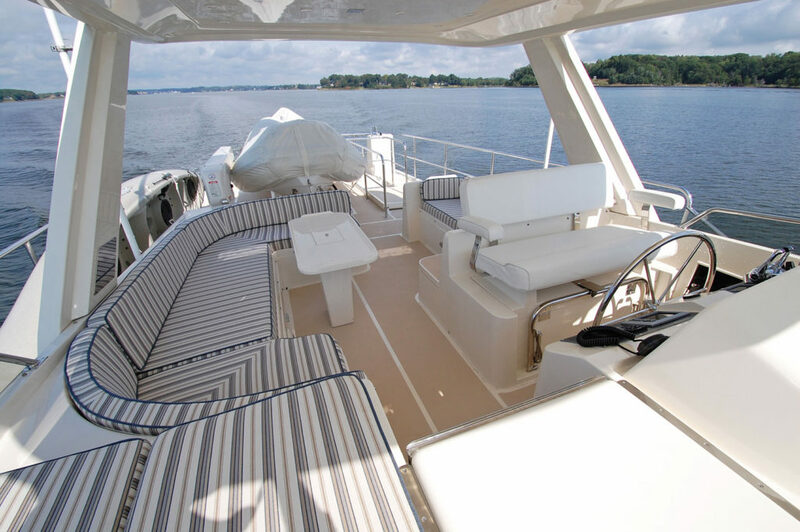 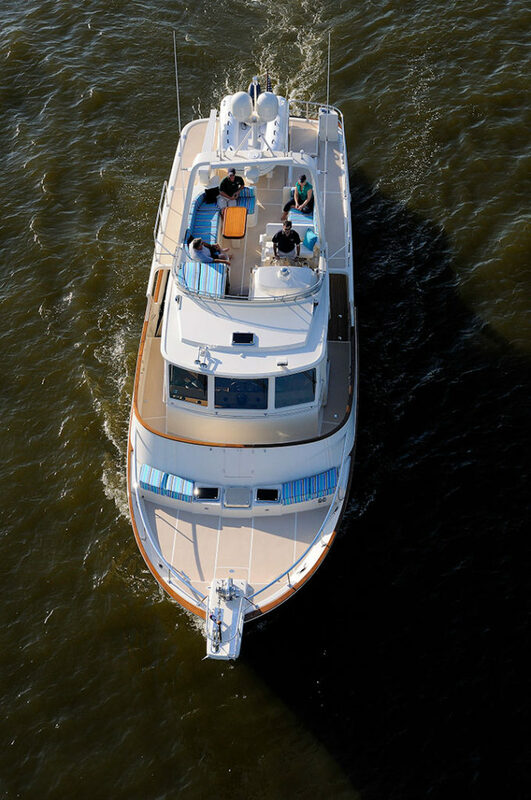 With a spacious cockpit, and wide walk-around side decks sitting just a foot and a half above the waterline, the Fleming 55 provides easy boarding and docking in nearly any scenario. 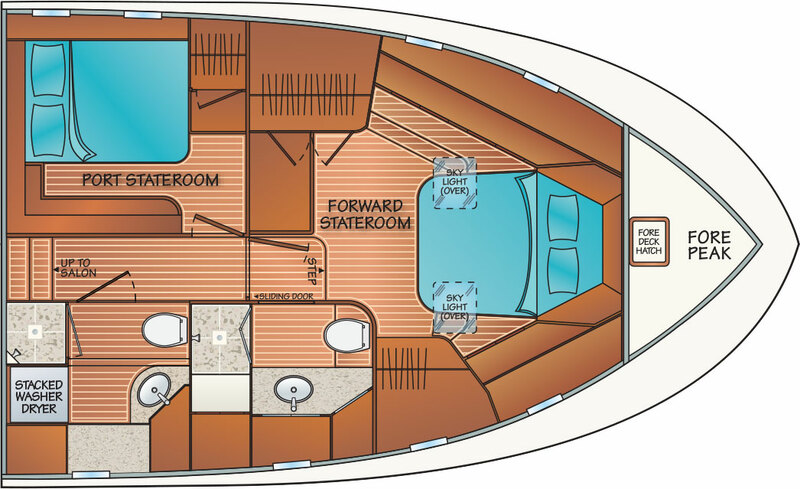 The 55’s interior features a centerline hallway, a hallmark of the Fleming design, which provides the opportunity to properly appreciate the full length of the vessel from transom to forepeak, and allows the minimal use of steps which are strategically situated. 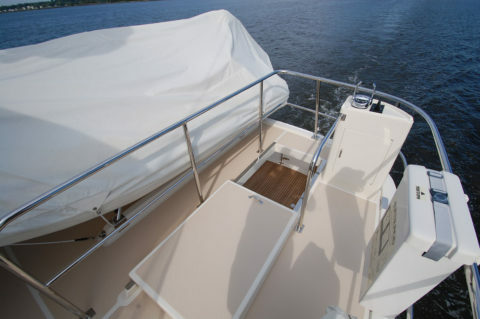 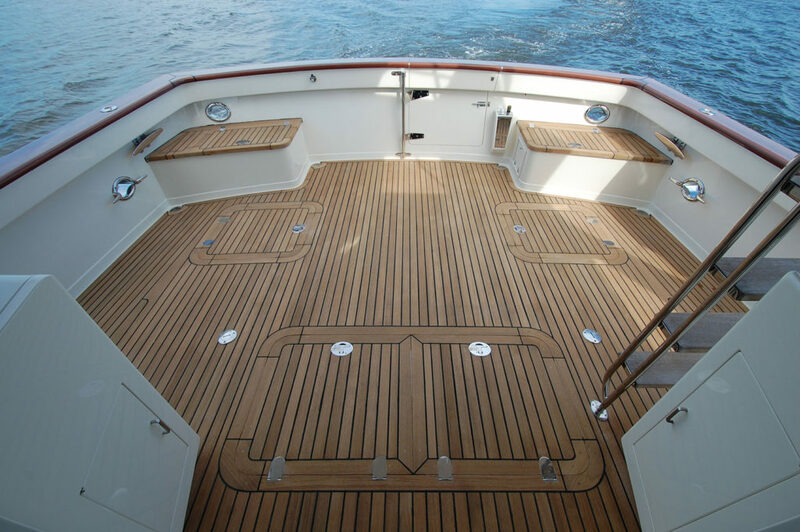 The steps leading to below deck are adjacent to those which access the raised pilothouse. 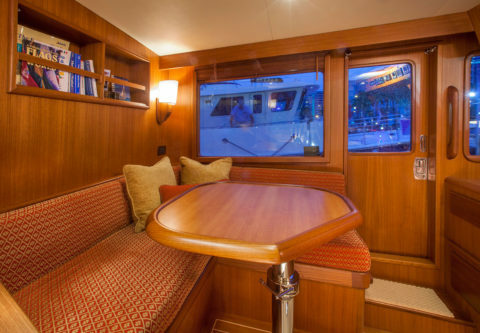 The main salon features an L-shaped settee and a high-low table which can be used for both dining and cocktails, a wet bar, and a cabinet with a retractable TV and space for additional entertainment components. 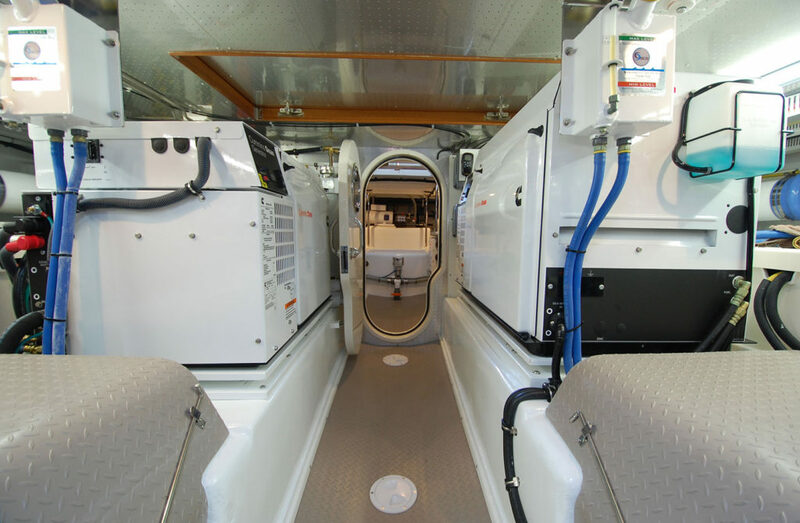 A fully-equipped galley, designed to allow use when underway, is located on the same level. 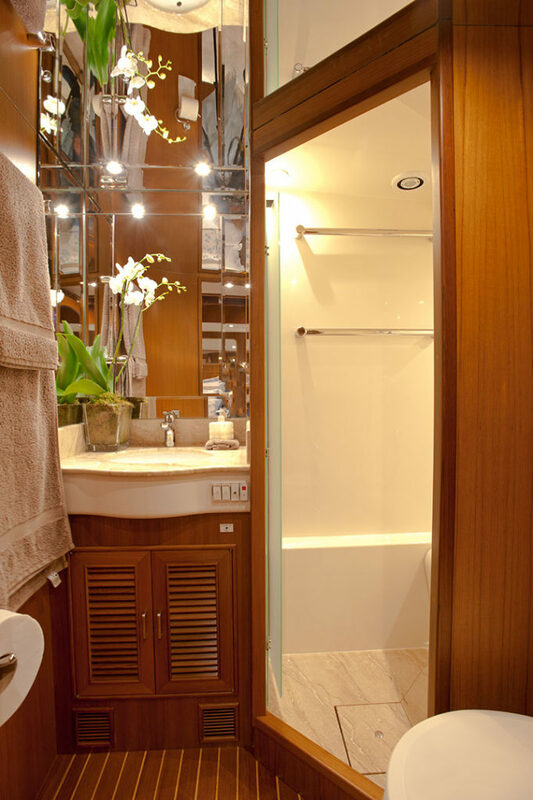 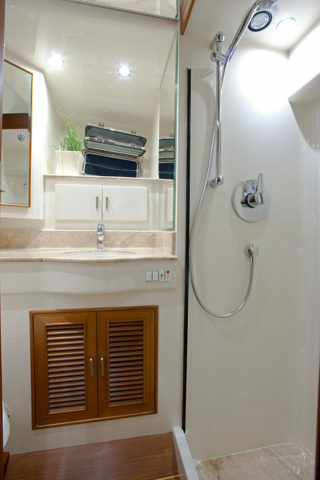 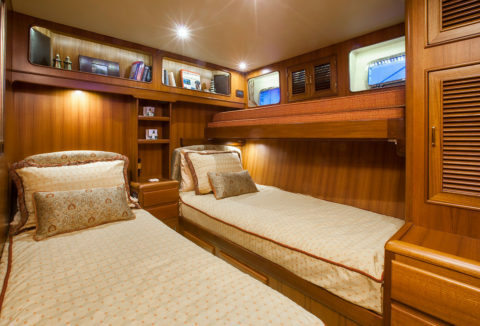 Below deck are a master stateroom with an en-suite bath, and two additional staterooms and a second full bath. 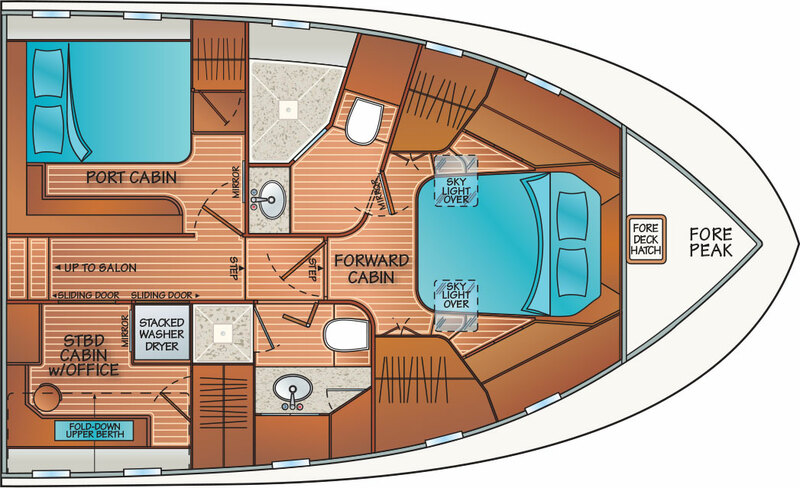 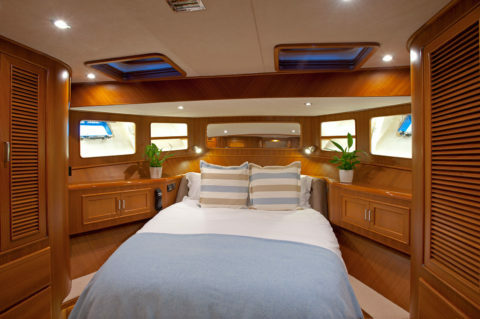 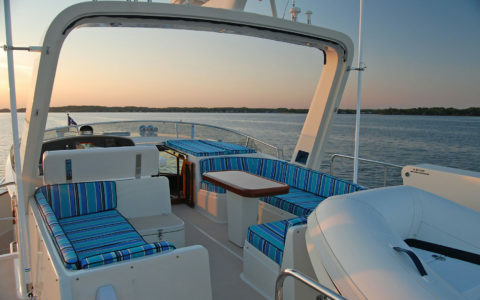 While the overall layout of the Fleming 55 has proven so functional that it has remained relatively consistent since its inception – with subtle changes and improvements made with each new hull – the materials, electronics and technology are ever-evolving ensuring that it is outfitted with only the most up-to-date systems. 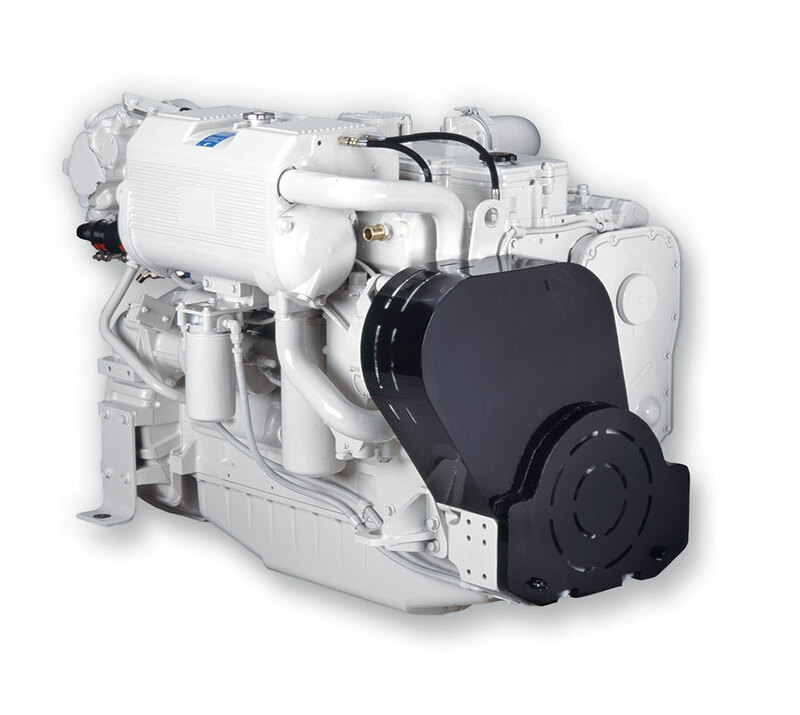 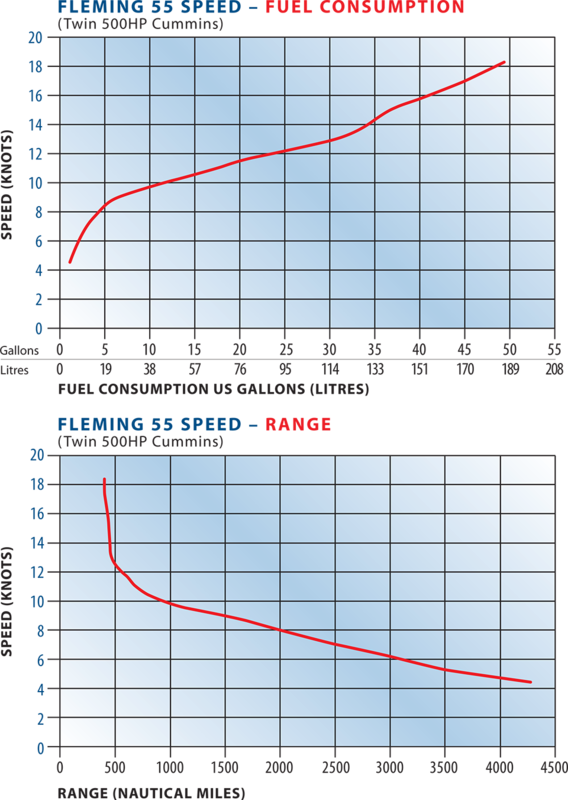 Purchasing a Fleming 55 allows you to reap the benefits of decades of refinement on a vessel which will confidently stand the test of time.